I want these on my walls. 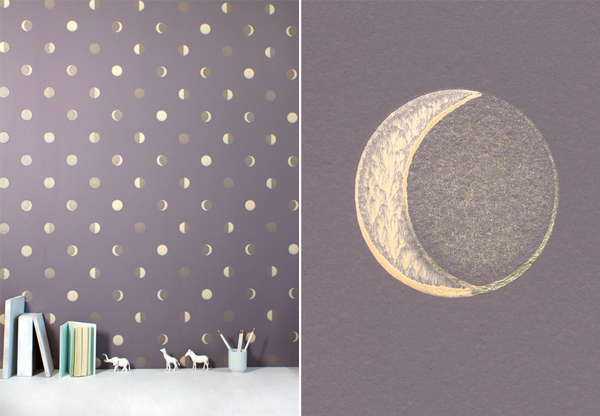 Moon rising - from the Bartsch spring 2012 collection - is my favorite, and I wouldn't hesitate to put it on my bedroom wall. The other design, Libertiti Parisien, is very sweet as well. 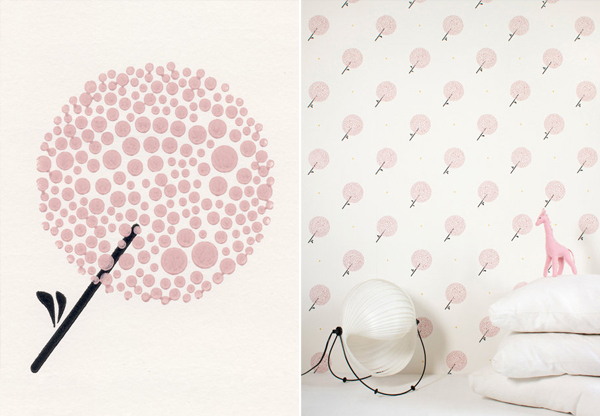 Definitely putting Bartsch wallpapers on my must-have-for-future-home list. I've also pinned it on my board, "My Future Home Will Have ..." so I don't forget.